If you are planning your next trip to Sapa, probably one of the thing that you are wanting to do is climb to the top of the Fansipan mountain: you can hire a private trekking tour or take the cable car ride. 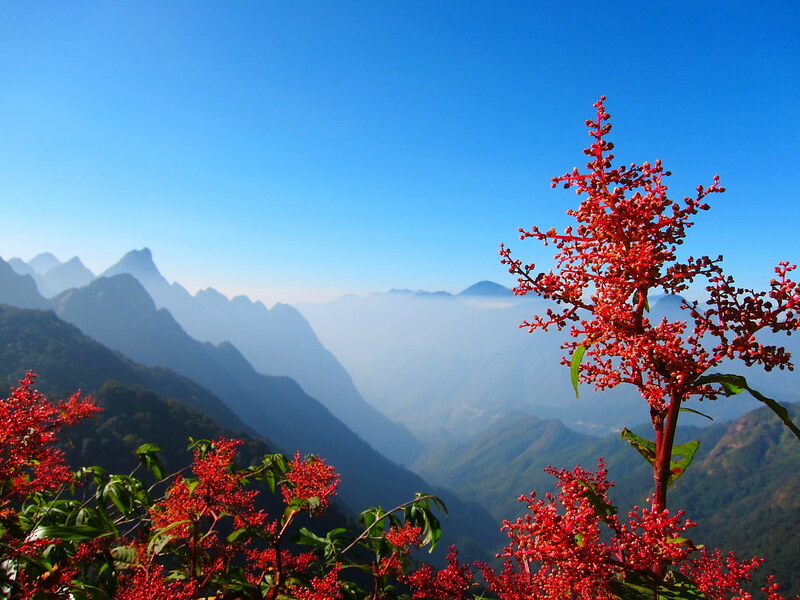 That very interesting, because with 3.142 meters it’s the highest point in Vietnam and it’s one of the must-to-do things in Sapa because it is located in the Lào Cai Province of the Northwest region of Vietnam, 9 km southwest of SaPa Township in the Hoang Lien Son mountain range. Fansipan mountain it’s also called the “Roof of Indochina”, so that you can imagine that it’s not only the highest point in Vietnam, it also includes Laos and Cambodia. Furthermore, it is one of the best eco-touristic points becuase there you can find 2,024 floral varieties and 327 faunal species. 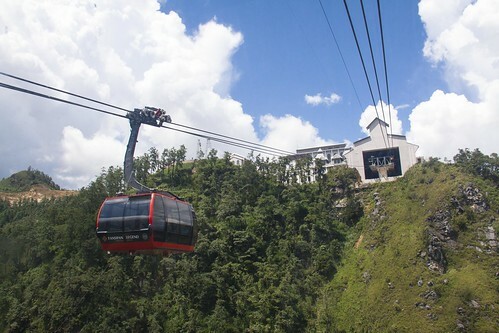 Sun World Fansipan Legend cable car system was opened to the public in February 2016 and is the highest, longest and most modern system of its type in the world. The Guinness Book of World Records has awarded two Guinness certification for the Fansipan Sapa, including a three-wire cable car station and the difference between the world’s largest arrivals (1,410 m) cable cars and the world’s longest three-wire (6292.5 m). The cable car system was designed by the famous cable architect, Doppelmayr (Austria – Germany – Switzerland) and manufactured and constructed with the requirements of Sun Group. This system will guarantee to deliver guests down to the mountain foot and each cable car cabin can accommodate up to 35 guests, so the transport capacity is up to 2,000 people per hour. The triple-wire cable system is the most advanced suspended cable system and more than equipped for the special weather conditions of the Sapa region, in that way you can enjoy a safe ride in any season of the year. It normally takes people one or two days to reach the peak of Fansipan mountain on foot but this system will carry passengers from the bottom to the highest point of the mountain in 15-20 minutes. The distance from the Stone Church in the center of Sapa town to Fansipan Legend tourist site is around 3 km. If you want to go by taxi the travel cost it’s about 40,000-50,000 VND (3$). If you want to go by walk is not the best option becuase the stimated time to go is more than 30 minutes. The indications to go there are the following: From the Stone Church, follow Thac Bac Street to Thac Bac – Nguyen Chi Thanh Intersection (about 1 km). Turn left at Nguyen Chi Thanh Street and walk straight to Fansipan Legend tourism park (about 1.7 km). In adition, you can find special promotions in their Facebook page. On this way, spending 600.000VND, 15-20 minuts and 600 steps you can climb the Indonesion rooftop. But if you preffer to take the Fansipan trekking you can enjoy the road to the top in your way with a local Hmong guide. Now, it’s time to you to decide. How do you want to conquer the Fansipan mountain: with cable car or with a trail route?